Skechers have really stepped up their game when it comes to aesthetics. Previous iterations have come in neon greens, pinks, and various other cartoonish colorways which seem to have passed out of favor a bit lately. It was cute for a little while, but we’re back to business now with more conservative colorways. Slipping into these shoes for the first time was a real delight, and reminded me of why I became a fan of Skechers in the first place. These shoes, although considered a more cushioned and supportive shoe, are very light and very soft. The upper has a sock-like fit with no heel counter (the rigid backing that goes behind your heel in many traditional running shoes), so it really is like putting on a pair of slippers. 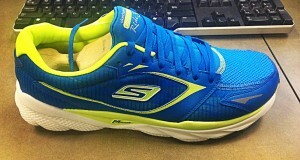 Skechers provides the option of running with or without the insoles, allowing a runner to choose their own adventure. I chose to run with the inserts in (perhaps a residual effect to being prescribed orthotics by a doctor years ago), but found them to still be very comfortable without them. The toe box has tons of room with absolutely no toe crowding, but I believe this would prove to feel a bit sloppy if you were trying to do some uptempo running. For easy running, this is a non-issue. 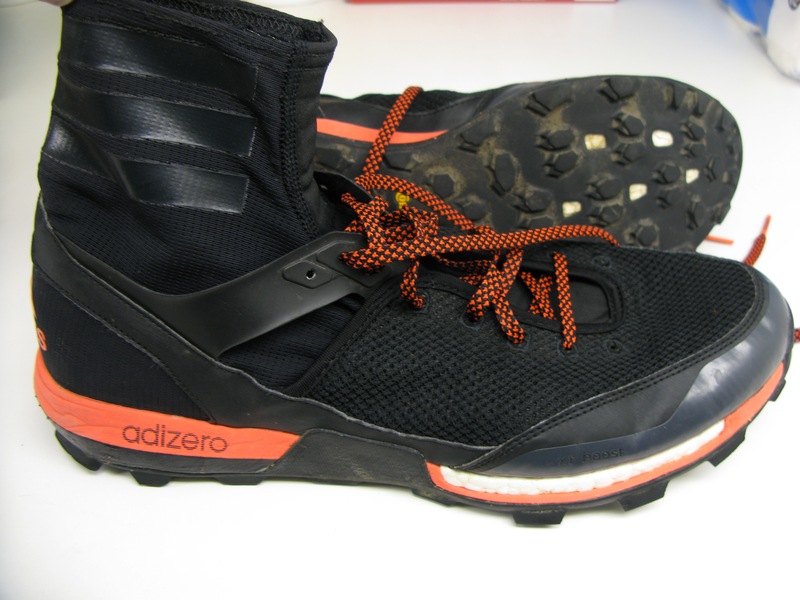 Another non-traditional aspect of these shoes is the outsole. It is primarily a foam construction with what Skechers calls “GOimpulse sensors and pillars”, which I believe to be the rubber lugs that are dotted around the outsole. This allows the shoe to be extremely flexible and allows you to have full range of motion to bend and flex your toes naturally. Initially, I assumed that the durability would suffer due the materials used, but they still look to be in great shape after about 100 miles. I will say that the GoRun Ride 3 seems to be the most “traditional” shoe within the line, while being anything but traditional. They are comfortable and cushioned, while still allowing the foot to function naturally without forcing them to sit put like many shoes in the same class. The low heel-to-toe offset was also nice, as I typically feel most natural between 0-4mm. Compared to the other trainers I’ve worn recently, this was very refreshing. 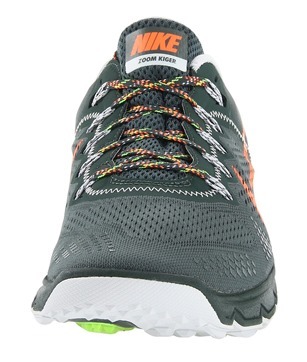 I enjoyed using these shoes for long and easy runs that didn’t require a lot of responsiveness or ground feel. They seem to hold up surprisingly well, making them a great value shoe at $80. 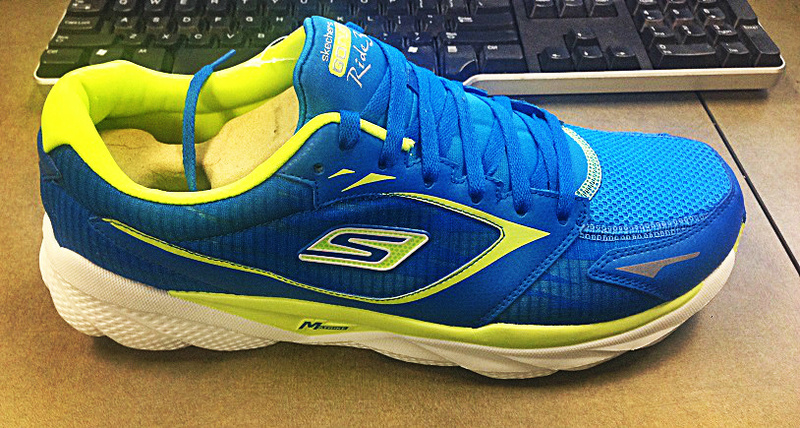 Conclusion: The Skechers GoRun Ride 3 is a comfortable, well-cushioned, affordable shoe perfect for long, easy miles. The Skechers GoRun Ride 3 is available for purchase at Skechers.com, Amazon.com, and at Shoebuy.com (get 20% off with code 20MARCH through 4/1/2014). The Women’s GoRun Ride 3 can be purchased at 6pm.com for under $60. Tyler Mathews is a runner from Austin, TX. He recently ran 2:55 for his first marathon in Houston, and is logging 70+ miles per week. 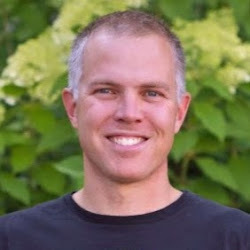 To learn more about Tyler, check out his blog Running Toward Dreams>. You can find Tyler on Twitter and Google+. Tyler – have you run in the Go Run 3 yet? If so, how do these compare? I *love* the GR3s as they kept all of the best things from the GR2s, but made the forefoot bed even wider. I’ve found it to be one of the most versatile running shoes I’ve ever worn, at home on tempos, LSDs, intervals/speed sessions, etc. I am a total Skechers fan now. 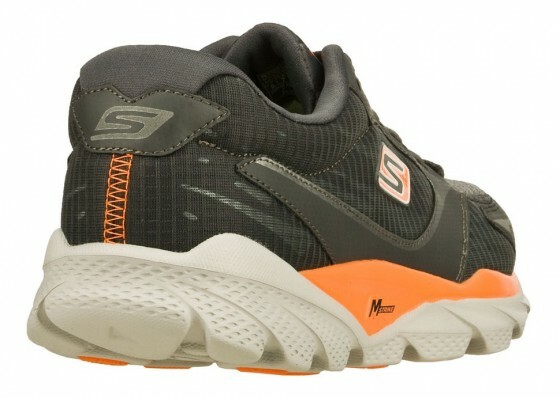 The GRR3 is significantly more cushioned and has less ground feel compared to the GR3. I use the GR3 for faster paced road miles and agree that it is extremely versatile, as I’ve even used it in a track session when I didn’t have anything else handy. If you are looking for a long run shoe, I’d highly recommend the GRR3. Tyler – since you have reviewed the Ride 6, the WR 17, and now the GRR3 all relatively recently; how would you rank these 3 different models for your preference of long/easy run shoe? Thanks! Excellent question, Brad! I would certainly rank the GRR3 at the top because it most closely represents my ideal long run shoe of being well cushioned, comfortable, and natural feeling (doesn’t crowd toes, doesn’t feel like a prison for your feet, etc.). AS far as second place, I would probably award that to the Saucony Ride 6, as it’s a lower heel drop compared to the WR 17, more flexible in the forefoot, and has a softer upper. 3rd place would be the WR 17, and 4th would be the adidas Supernova Glide 6 Boost, which I reviewed on my blog a few months back. Hey Tyler, how did you find the GRR3 sizing vs, the GoMeb Speed 2 and the Wave Rider 17? Love the GoRun series but HATE the new colors. I am OK with cartoonish colors, as an option. I’m not sure what you mean by “ironic” colors, Tyler, but I’m with Pete – the brighter and gaudier color that any shoes are, the better!! But that is just my personality. I have a good friend who will only buy shoe colors based on if they are subdued enough that he could wear the shoes as a casual-dress hangout shoe after it is worn out. Ironic in the way that we wear bright, cartoon colors while we try to stomp our competition. I don’t wear running shoes casually, but my personality calls for a muted, conservative appearance that doesn’t stand out. I like bright 🙂 I’m a muted, conservative guy in person, so my shoes need to make up for that! Is the midfoot “bump” as noticeable as in the GR2? The GoRun Ride 3 seems to be a bit more structured compared to previous models and even the GoRun 3. There’s less of a convex curvature to the shoe and no noticeable bump, though it’s clear that they want you to emphasize a midfoot strike. Hope this helps! I think Skechers is on the right track to a great shoe, but I cannot help feeling that soemhow all their lineup is still work in progress in the sense that their overall fit is kind of sloppy, not to mention the general poor quality of the materials used in their fabrication. These two aspects make Skechers great trainers for LSD training, but not for racing, specially on hilly courses, where your feet need to be really locked. As for the “bump” things, is just some if those useless “technologies” that brands patent and end up getting stuck to it. Anyway, thanks for your detailed review. While I do agree that the durability of previous models was in question, I have put on over 100 miles in these shoes and they’re holding up very well, showing very little wear. The materials themselves may give the impression of being “cheap” because of its softness and lack of structure, but I think it would be foolish to focus on these aspects. I have seen much pricier and “higher quality” shoes break down much faster than these. In terms of the fit feeling sloppy for racing, I agree that I would not wear the GoRun Ride 3 for this purpose. It’s meant to be a daily, long distance trainer that doesn’t imprison your foot while still providing cushion and support. 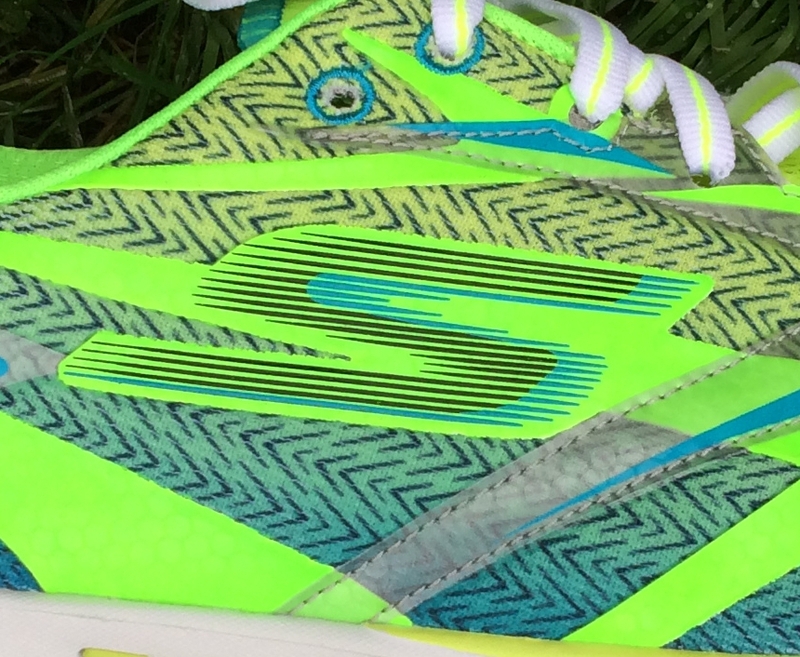 The Skechers GoMeb Speed 2 is one of the best race flats I’ve ever worn. The “bump” that everyone is speaking about is a non-factor. Yes, there is more material in the midfoot than the toe or heel, but honestly you can’t even feel this while running, contrary to the original GoRun models. I’d second the comment on durability. My wife had two pairs of $150 Hokas blow out the upper in less than 50 miles, and I’ve experienced the same with some NB shoes. My Skechers have done well, and they are a heck of a lot cheaper in price than most other shoes on the market. Thank you very much for getting back to me so swiftly. I like to think that I am not a stubborn person and that my opinions are based on rational and objective inputs. As such, in light of your comments above I believe that in all fairness I have to give Skechers another try. I think this time around I will go for the GoMeb Speed 2. I will get back to you on this as soon as I put a decent mileage on them. Hey Tyler quick question. Is the Go Run Ride 3 more cushioned than than the Pure Flow 2 or 4 and the Saucony Kinvara 4 or 5? Also if you had to chose a favorite out group which would you chose? The GoRun Ride 3 is definitely a more cushioned shoe than any of the others, and far less responsive. I can’t say which is my favorite, because the GRR3 is in a different category as a highly cushioned trainer that’s primarily built for long, easy running without regard for a snug, responsive fit. 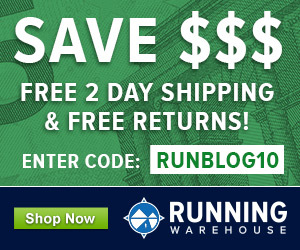 I would use the PF or Kinvara for uptempo running and the GRR3 for easy/recovery runs. Tyler: Thanks for the detailed review. I’m a recovering heel striker and gave up my WR for Newtons. Started with the Issacs and then moved onto the Gravity. Unfortunately the lugs wear extremely fast sub-100 miles. How would you compare the WR, Saucony(neutral shoes),and Newtons? Thanks for reading. I think it’s interesting that you found the Newtons to wear down quickly, as I’ve known some people to put 1000 miles or more in a pair. 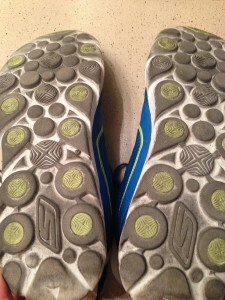 I’ve reviewed the Saucony Ride 6, Mizuno Wave Rider 17, and Newton Distance. I can definitely say that the other two don’t compare well with the Newton. The Ride and WR are very much traditional trainers that have recently reduced their weight enough to be viable for some quicker paces, but still have a large heel and very little ground feel and flexibility. The Newtons are much lighter, lower drop, and are certainly designed to be used as a faster training shoe. I would say that your choice will depend on what you’re in the market for. Hi Tyler 🙂 great review , could you please tell me if this shoe is suitable for moderate over pronation runners? Thanks for reading. Custom insoles means that using the insoles is optional based on your preferences. Many people like to feel closer to the shoe and ground, and the shoe is soft enough to go without. I chose to use the insoles, just because. From what I researched, looks like only the GoRun 3 and GoRun RIde 3 have this removable insole that make the shoe go from 4-8mm. I would actually like to buy the GoRun 2 or GoRun Ride 2, or the possibly the GoMeb/Speeds. Can insoles be found and used in those to raise the heel drop? I’m trying to ease down more slowly, but like the other shoes better (and price at the moment). Skechers doesn’t sell the insoles separately unfortunately, been trying to get them to do that. You could check at a local shoe shop and see if they have an insole with some drop, or check shoes you already own and swap around. hi pete. so the gorun 2 does not have the insole that increases the drop? i didn’t realize that. i’ve been trying to decide between the gorun 2, gorun 3, or gorun ride 3, and have been leaning toward trying to find a pair of the gorun 2 because my feet are fairly narrow, but i would like to have the 8mm option–that would also reduce the midfoot bump, right? also, does the gorun 2 fit a bit longer than the gorun 3? finally, is there much difference in width between the gorun 3 and the gorun ride 3? I didn’t find a huge difference in fit between the GR2 and GR3 personally, so if the 4mm drop insole is important I’d go with the 3. I didn’t run much in the Ride, but recollect it as being a fairly wide-fitting shoe. I agree with you Peter, have just bought a pair, the GRR 3 is a wide shoe, perfect fit to me. But compared to my former running shoes, Asics GT 2160, I could have chosen 1 size smaller. thanks, pete. wouldn’t the insole also reduce the midfoot bump, or is the insole height raised in the midfoot area also? May reduce it a little, the insole thins progressively from heel to forefoot. Hi, do any of you know how GRR3 fits compared to Asics GT2160, is it more narrow/smaller or wider/larger? I’m asking because the nearest warehouse with Skechers shoes is FAR away from where I live, so I’ll have to order online…. Hey, looking for a couple of shoe recommendations. I’ve moved towards minimalist shoes over recent years (NB Minimus, then Altra Instinct and now Skechers Go Bionic). I love the Go Bionic, and am looking for something similar in fit/feel but with more cusion. Did a half in Go Bionics (Big Lake in Alton), and finally shooting to do a full marathon next year (likely Manchester). I seem to prefer 4mm drop or thereabouts. Tried Virrata, but seems too stiff for my 155 lbs. Any thoughts much appreciated. Thanks. GoRun would be softest, next maybe the Altra. Free is the firmest of the 4 you mention. Kinvara 5 is pretty roomy and sole is just about right on me, one of my favorites this year so far. My one problem with the Free 4.0 is sometimes the laces put pressure on the top of my foot, but usually only if wearing them casually for a long time. I am planning to buy shoes in the range of $100. I run in park area.. well its mixed of cemented grounds and rough mud grounds.. would you suggest me to go with this skechers GRR3? or do you have others options.. please help me out with shoe selection.. I run mostly in GR3 but I was looking for another Skechers shoe that has more cushioning in it so I can go longer miles and feel like my legs aren’t all beat up. I was looking at the GRR3 vs. the GR Ultra. You mentioned that the GRR isn’t very responsive but better for long runs. HOw would you compare the Ultra then to the GRR? Would the Ultra then be a better shoe in your opinion for longer runs and a bit more responsive? 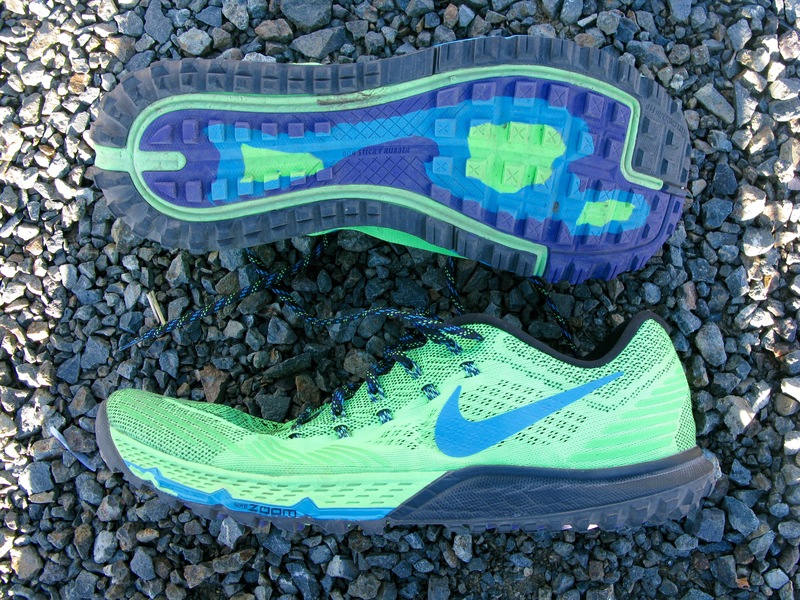 I have not run much in the Rides myself (Tyler Mathews wrote this review), but the Ultra is a very soft shoe and I probably would not refer to it as responsive. More a soft, comfy ride for long miles. The Ride has a lot of cushion as well, but not quite as soft feeling as the Ultra if I recollect. Hi. How would you compare the GRR3 to the GR Ultra? Both are considered more cushioned shoe for longer distance running. I run in GR2 and 3’s but I’m limited to shorter distances in them because of lack of cushioning. I’ve heard that the Ultra is more responsive than the GRR. Any help?